Dominio de la Vega is found in the region of Utiel-Requena, 70km west of Valencia and therefore from the mediterranean sea. A high plateau of destitute clay and limestone soil, with an altitude that varies from 600 to 900 meters. The climate is continental with a great Mediterranean influence: very cold winters and very dry and hot summers with scarce rainfall. The altitude and the sea’s influence give our cava and wine their features, like their freshness and great maturity. Within this great land of wines with more than 2000 years of viticulturist history, we find estates, regions and vineyards with pedoclimactic characteristics that are the origins of our cavas and wines. La Vega, El Pinarejo, La Muela or Losilla are the estates where our cultivated grapes originate from. There are two certificates of origins for which we work: DO cava for the sparkling wines and the DO Utiel-Requena for our wines. 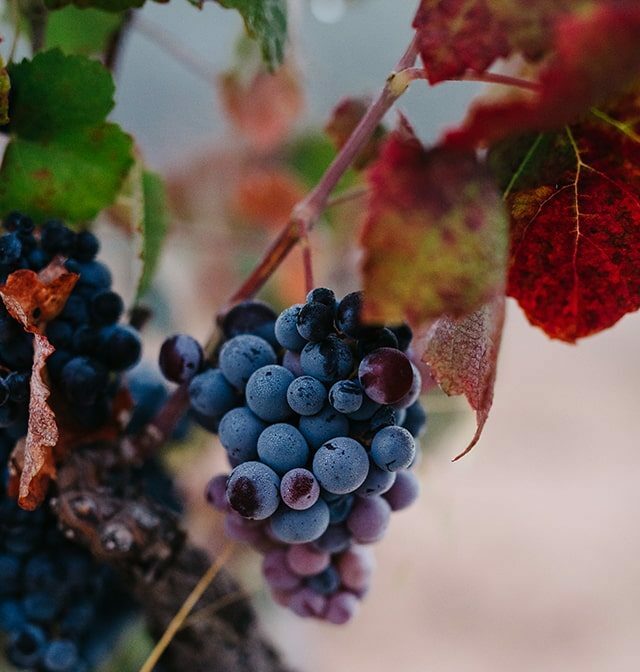 At Dominio de la Vega we consider and understand that in order to transmit our wines it’s essential to know how to interpret the vineyard from which they come, feeling great preference for older vineyards. LA VEGA: Name by which the lower region is known, flat and fertile at the shore of the Magro river, clay earth with a reddish colour, where the average yield and very fresh Macabeo vineyards are found, to obtain a very fresh and light concentration of Macabeo which will be the base for our cavas. Cerro Tocón; name with which its past as a vineyard is remembered, an exceptional expanse of 1.4 hectares situated beside and bordering the winery. With deep clay-limestone soil and with 18 year old vineyards of Pinot Noir planted in trellis. This vineyard offers us grapes with a well balanced acidity and body, ideal for producing aged cava Blanc de Noirs. LA MUELA: Area situated in the south east of Requena. Small plots surrounded by mountains, the limestone soil at an average depth, all planted with old bobal grapes that are more than 50 years old and in cordon style. La Muela is the origin of our Paraje Tornel and Finca la Beata wines, where the grapes combine elegance and intensity. It’s a centenary vineyard of less than 3 hectares, surrounded by mountain, pine trees and rosemary. It sits at an altitude of 780 meters with destitute clay-limestone soil, from which small bunches of bobal are born with a very concentrated colour and taste. EL PINAREJO: It was baptised with this name more than 300 years ago, probably because of the pines form the Juan Salinas mountain range which is to the north of Requena. With a south facing orientation, 850 meters of altitude and with shallow, limestone soil where small pebbles surface. El Pinarejo is a 4,7 hectares Chardonnay vineyard that was planted 20 years ago and is of low yield. The bunches trap delicate and fine must that has great ageing potential. They are bottled separately to obtain our aged cava Pinarejo Cuvée Prestige. LOSILLA: Is the last of the estates which we have acquired and without a doubt the oldest of them all. 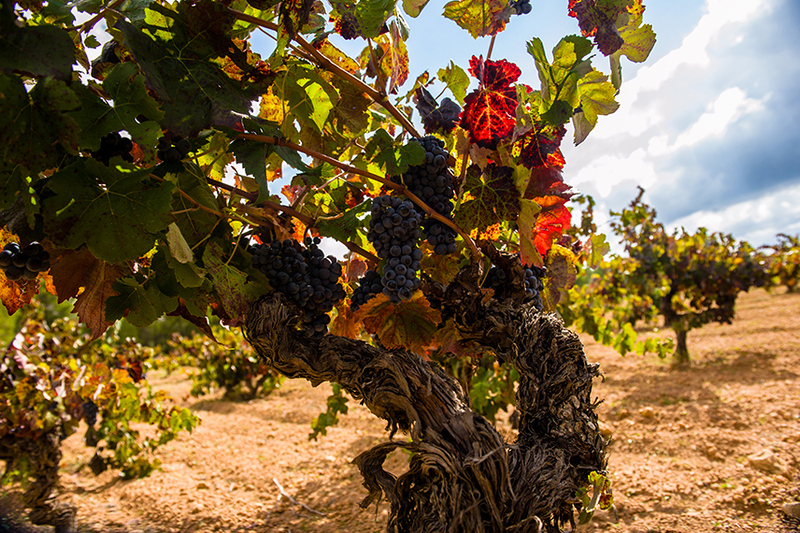 The Losilla vineyards have 114 years of history, It’s a piece of land more clay-like than La Muela, it has an extension of 4 and a half hectares and has loam soil, its vine is not grown from grafts. In these moments we still do not know what wine will be produced with the Losilla grapes, this year is the first time we harvest this plot of land.